January 1, 2017 brought a major change to the U.S. livestock industry, as the FDA’s veterinary feed directive (VFD) rule placed purchase and use of medically important antibiotics used in feed under the control of veterinarians. While many producers were skeptical, veterinarians generally viewed the change as positive, giving them an opportunity to become more involved in comprehensive herd-health programs on their clients’ operations. Now, a year later, after one full production cycle for beef producers, we can reflect on what is working and where the new regulations continue to create confusion or questions. In early December, Global VetLink (GVL) hosted a webinar exploring lessons learned through the first year of the new VFD rules. The webinar panel included Tyler Holck, with GVL, Mike Apley, DVM, PhD, from Kansas State University, Chris Lincecum, MBA, Cooperative Farmers Elevator in Iowa and Brian Thiesen, with Hanor Company of Wisconsin, a multi-state swine farrow-to-finish operation. Holck kicked off the presentation with an overview of some VFD trends based on GVL records. Prior to 2017, GVL processed about 2,500 VFDs per year, for the small number of swine medications requiring a VFD. During 2017, Holck says GVL will process about 125,000 VFDs through its FeedLink system. Of those VFD orders, Holck says 66% were for cattle, 32% for swine, 1% for poultry and 1% for ovine herds. Group size covered by each VFD varied widely, with cattle averaging 1,150 head, swine 7,856 head and poultry nearly 3.5 million head. Early on, Alpey says, some producers were confused over the categorization of feed-grade antibiotics. Type A medicated articles are the most concentrated form of feed-grade antibiotics, which are mixed with other ingredients to create Type B or C medicated feeds. A person may purchase, possess, and sell a Category 1 Type A medicated article without registering as a VFD distributor, having a feed mill license, or having a VFD. However, feeding that to animals requires a VFD. Selling a Type B or C medicated feed created from the Type A medicated article requires registration with the FDA as a VFD feed distributor, and the distributor needs a VFD to sell the medicated feed. Apley adds that some producers remain unsure of how the regulations affect “hand-fed” versus ‘free-choice” use of medicated feeds such as mineral supplements containing a VFD drug. All use of medicated feeds must be in accordance with the product label. A hand-fed label specifies that a fixed amount must be fed every day. 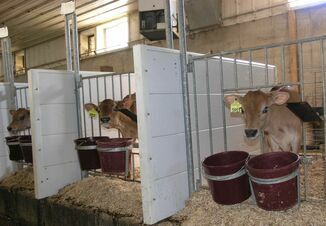 You may feed a free-choice feed in a hand-fed manner (daily), but feeding a hand-fed feed in a free-choice manner is an off-label use and is illegal. Apley notes that the American Association of Bovine Practitioners (AABP) and the Academy of Veterinary Consultants (AVC) have formed a task force to help clarify this issue. Producers have, in the past, used “pulsing” applications with some medicated feeds. Apley stresses that any repeated treatment with a VFD feed requires a new VFD, and must conform with the product label. Some confusion also has centered on the terms “duration” versus “expiration.” A VFD order includes an expiration date, and the covered product must be used before that date. If not, a new VFD is required. Duration refers to the treatment period. If a product label specifies a 14-day duration of treatment and a producer begins the regimen seven days before expiration of the VFD, a new VFD is needed for the next seven days. Overall, Apley says, the new rules have helped generate collaboration between veterinarians and clients in developing better disease-prevention protocols including vaccinations, biosecurity, nutrition and handling systems to reduce the need for antibiotics, which aligns with the goals of the regulation. Chris Lincecum, with Cooperative Farmers Elevator in Iowa, says his company invested heavily in training employees and modifying computer systems to prevent sale of any VFD feeds without a valid VFD. Some customers have misunderstood regulations regarding off-label applications and duration versus expiration, but most are adapting. Sales of chlortetracycline (CTC) through his company declined early in the year, but have picked up as more customers learn how to obtain VFDs for legitimate use. The FDA, Lincecum adds, has begun conducting inspections, which typically begin with the feed distributor. Inspectors verify that proper records are on file and that VFD orders comply with the regulations. 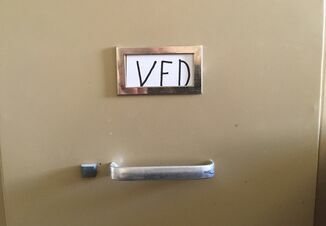 Inspectors then might follow the VFD order back, to inspect veterinarian and producer records. Apley confirms that inspectors also have visited veterinarians, often focusing on confirmation of a valid veterinarian-client-patient relationship (VCPR) backing the VFD order. Brian Thiesen, with Hanor Company of Wisconsin, says his company prepared extensively prior to implementation of the VFD rules, identifying when and where they would need VFDs in the short term while working with GVL to incorporate VFDs into their feed allocation system. Initially, the company experienced some delays when farm managers did not account for the turnaround time in processing VFD orders. Now, he says, when a veterinarian writes the VFD in the GVL system, the order goes directly to the feed mill, which then ships the feed to the farm. Managers understand the process and the mill’s feed allocation system will not allow VFD feeds to ship without the appropriate order on file. The webinar, titled “Veterinary Feed Directive Implementation: Lessons Learned,” is now available on demand from GVL.